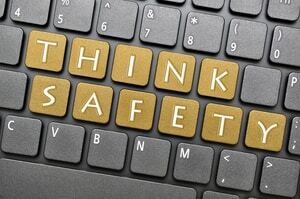 The internet offers a wealth of education and opportunity for kids, but many parents worry about the dangerous side of the online world—namely, the opportunity for their kids to stumble across inappropriate content or unsafe websites. Or a child may unknowingly reveal private information to a stranger. This is where a few apps come in handy. These four apps were designed with parents’ concerns in mind to help you keep your kids safe online. This app offers everything you need to monitor your kids’ smartphone activity, from blocking access to adult content and suspicious search results to monitoring app usage and setting device screen time limits. This app also offers tips from psychologists on how to teach kids about the dangers present online and how to take proper precautions. Download the Kaspersky Safe Kids app for iOS devices or Android devices. Wish you could know where your kid is at all times? Now you can with the Kidgy app. This location-sharing app makes it easy to keep track of your family and monitor their online activity. Check the real-time location of your kids, receive alerts when they leave from or arrive at home or school, set tasks for them to complete, and monitor text messaging. Download the Kidgy app for iOS devices or Android devices. Sometimes something as simple or harmless as a misspelling can result in a search result gone afoul. Instead of letting your kid use Google.com for searches, KidzSearch automatically filters Google to remove inappropriate content and unsafe websites. 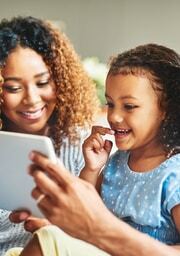 With this app, your kids can use the internet as they typically would, and the parental filter helps keep them safe. This is the same filtering being used on Safe Search Kids, only through an app for mobile devices. Download the KidzSearch app for iOS devices or Android devices. KidzSearch also available on Kindle Fire / Amazon. Getting kids to disconnect from their devices isn’t an easy task. This app makes it easier to require phone breaks. With a few clicks of a button, you can set time limits, requiring your kid to take scheduled breaks during dinner time, study time, and bedtime. You can also set schedules for how much time they can spend online and receive real-time usage monitoring. Download the DinnerTime Plus app for iOS devices or Android devices. With a few apps on your phone, you can always oversee your kids’ online activity. And remember, for these apps to work, you and your kids should have reliable internet access on your phones. Setting up a hotspot will keep your child connected so you can use these apps and monitor their whereabouts and online searches any time you need. Consider running a speed test as you’ll want to make sure you get at least 10 Mbps from your internet connection (more if you use a lot of devices in your home). 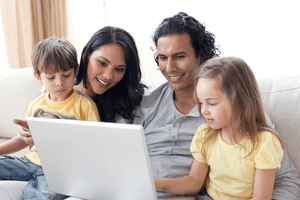 Once your apps are installed, you can feel more at ease with your kids’ online activity.